Whisper Plays is an ASMR YouTuber—that stands for “Autonomous Sensory Meridian Response.” It’s the tingling sensation that accompanies a Bob Ross binge-watching trance and, sometimes, is referred to as “head orgasms.” It’s all about falling into a buzzy calmness. On YouTube, an enormous community has formed around ASMR. Typically, a YouTuber will run manicured fingernails across a plucky brush, slowly open a package or act out moments that commonly trigger the sensation, like doctor’s appointments or getting a suit fitted. Battlegrounds is not a typical venue for ASMR. Over the last few years, some YouTubers have moved their ASMR practice into games that offer some tranquility, like Abzu or Animal Crossing and attracted a wide audience. Taking viewers on a tour of Skyrim’s forests and green hills, YouTubers like The ASMR Nerd and Miss Fushi capitalize on the peaceful escapism many of us look for in games. Battlegrounds games are often comprised of twenty minutes collecting loot and fearing for your life and then a swift split second getting head-shot. So the recent phenomenon of making ASMR videos in the survival-shooter Battlegrounds is pretty weird. Eman ASMR is methodical, the most crucial quality for ASMR YouTubers. With a binaural microphone, Eman ASMR points out everything he notices in the game with a zen calm—from his parachuting angle to the objects he passes while fleeing enemies. But without the game’s sound—only his clicking keyboard—it’s easy to become immersed in Eman ASMR’s slow-spoken narrative of events. He says “Oh, that guy is landing on the same roof as me” as if he’s pointing out a passing cloud. It also helps that he’s very, very good at the game, giving his videos an effortless feel. Behind a dreary school auditorium, Eman ASMR easily mows down an opponent with his Scar-L. “Okay, so. He died,” he whispers. Another enemy slowly approaches, soon after, drops to the ground in a pool of blood. When asked why he chose Battlegrounds as a venue for the art of calm, Eman ASMR said that it’s all about the long-term strategy combined with leisurely, gradual looting. “I decided to make those videos because of the slow-paced nature of each round,” gaming ASMR YouTuber StainonMars told me. In a recent video, StainonMars’ first round of Battlegrounds lasts a bit over three and a half minutes, during which he parachutes down to the island, stocks up on guns and med kits, finds a car and, shortly thereafter, is made swiss cheese by a stationary guy with an assault rifle. “It pisses me off,” he whispered. “I don’t know why I didn’t go full-force into that guy.” Watching him die, I felt noticeably less relaxed than I did moments before clicking his video. In his next round, which lasted 22 minutes, StainonMars, poised with a rifle and a helmet, lays in wait at the top of some dark attic stairs. Knowing how unlikely it was for someone to enter his specific hiding spot and run up the stairs, it was easy, but a little boring to watch his gun bob up and down. Still, no trance descended on me. Chiller corners of the gaming ASMR community seem confused by Battlegrounds ASMR. “Personally, I find PUBG too tense for ASMR,” the ASMR Nerd told me. He questioned whether YouTubers could whisper over anything and call it ASMR. “At the risk of sounding like a cranky old man, I feel like some gaming ASMR creators today miss the point. For me, it’s always been about creating a blend of chill escapism and tingly sounds, like in my Skyrim wanders. 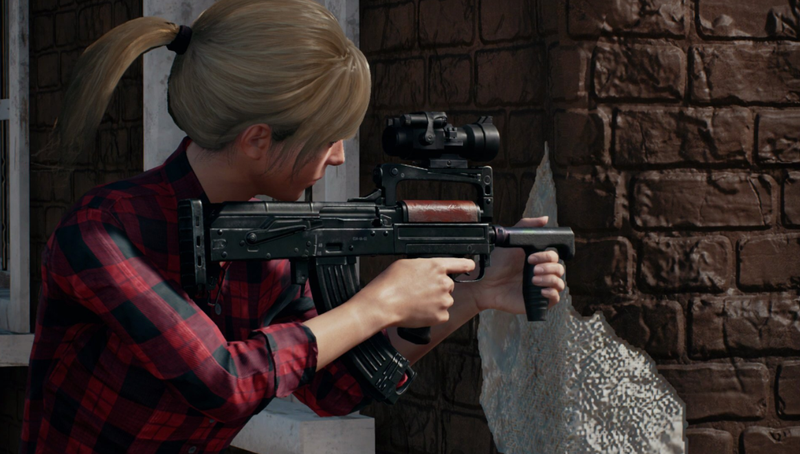 I think PUBG is too good at building tension to be an effective ASMR game,” he said.